Once you understand the horrendous risk associated with our reliance on nuclear weapons, this is the place to come and do something about it. 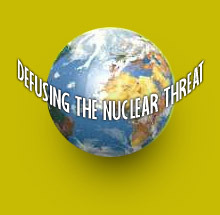 For reasons explained on our home page, your taking the following simple actions have the potential to defuse the nuclear threat and create a safer, saner, more secure world. 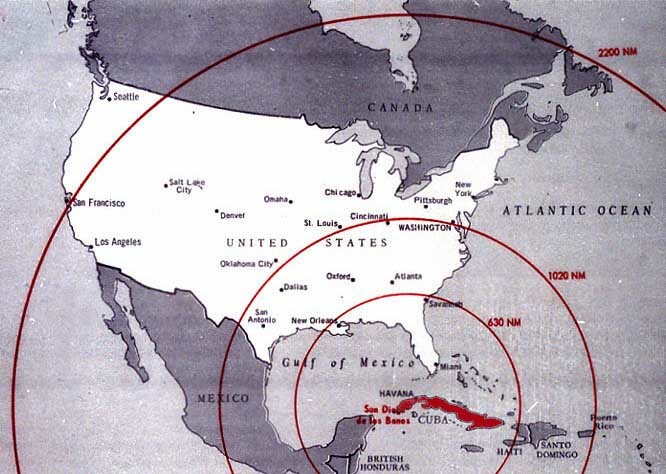 How risky is our current nuclear strategy? Surprisingly, no one knows! If you agree that gaping hole in our national security needs to be plugged, join a former Director of the National Security Agency and other prominent individuals in signing a petition that asks Congress to authorize an objective study of the risk. Do you agree that nuclear weapons pose an unacceptable risk? Do you see that you are needed to help solve that problem? If you haven't already read it, our home page is the	best place to start answering those questions. It provides all the essential information in an easily understood format, and takes less than five minutes to read. Watching its three videos will add another twenty minutes, but is well worth the time. Once you've digested that information, please visit our resource page for more details. But, if you ever start to get bogged down in detail, go back to that home page and remember that everything you need to know is there. It cuts through the complex arguments that confuse many people, and empowers you to play a key role in solving this problem. Until more citizens demand change, most political leaders will be unwilling – and the few who see the imperative will be unable – to move from the failed policies of the past 65 years. While touted as successful, those policies turned America from a nation that was inviolate in 1945 into one that, today, can be destroyed in under an hour. As just one example of public perceptions limiting the ability of politicians to implement more reasonable policies, in the 2008 presidential primaries, candidate Obama was asked whether, if elected, he would consider using nuclear weapons against terrorists such as Osama bin Ladin. Obama initially replied that would be "a profound mistake," but had to back pedal after his primary opponent, Hillary Clinton, successfully used this as an argument that he was too naive to be president. Email provides a very efficient way to reach out to your friends, and has the advantage that this site is just a click away. While, eventually, the entire nation must be involved in the process of changing our nuclear posture, taking on that large a task at this point in time would doom our effort to failure. Our current resources are miniscule compared to what is needed. We therefore are applying a proven business tehnique known as market segmentation that first creates small pockets of nuclear awareness, and only works on creating understanding in larger populations after achieving success within the smaller groups. It can be applied to any small, interconnected population such as a neighborhood, a church or a school. Think about groups to which you belong, and form your own pocket of nuclear awareness. [In ending slavery], there was indeed something like market segmentation, with small areas of warming that intensified even as surrounding regions stayed relatively cool. ... Boston and other parts of New England ... became the major abolitionist centers, but so did black churches in Philadelphia and even New York. Cincinnati became a crucial starting point ... Upstate New York, including Rochester, were also bright red spots [hot spots of activity]. If a small band of mid-19th century individuals could start a process that changed human thinking in ways that seemed totally inconceivable when they started, just think what we can do today with the modern tools at our disposal. Enter your email address in the JOIN US box near the top of this page, in the left margin. Your address will be kept in the strictest confidence and emails will average no more than one or two a month. Add my blog to your RSS feed. Posts there have averaged less than one per week, so you won't be inundated. To get an idea of what you might see, check out a recent post. If you're like me before I started my blog, and have no idea what an RSS feed is, much less how to subscribe to one, you can still get links to the posts by signing up in the JOIN US box as suggested above. After every few posts to the blog, I send a short email listing those posts with links. Harry Rathbun died in 1987, so he cannot embolden today's students to consider that they might have that kind of impact on the world. I am pleased to encourage you, as Professor Harry Rathbun would have done, to entertain what he called "the nobler hypothesis" and take leadership roles in this effort to make society's actions consistent with the realities of the nuclear age. In doing that, there is nothing to be lost and much – potentially the whole world – to be gained.